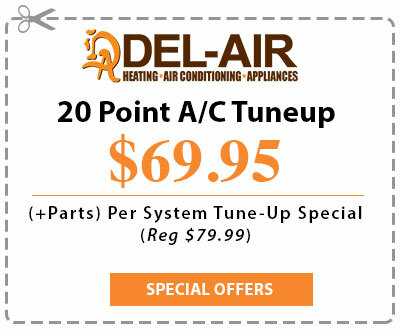 At Del-Air Heating and Air Conditioning, we hold certifications with both NATE (North American Technician Excellence) and the EPA (Environmental Protection Agency). NATE is the country’s largest non-profit organization intended to certify technicians in heating, ventilation, air conditioning, and refrigeration. Since its founding 20 years ago, NATE has been recognized by the entire industry as a way to test real-world knowledge of the wide variety of HVACR systems. Our Florida HVAC team believes strongly in being mindful of the impact we have on the environment. We work tirelessly to do our part to ensure that we leave our children a world they can enjoy. By getting our EPA certifications, we are proving that we are using techniques and products which are approved as being the safest available for both your family and the world. State and federal law dictates that all technicians obtain this certification before repairing or performing maintenance on any appliance that uses refrigerant chemicals. The harm that these chemicals can cause if improperly handled or disposed of is immense, and it is critical to every member of our team that we help keep our communities safe and beautiful. If you have any further questions about the certifications our Florida heating and air specialists have obtained, call our offices today at (844) 574-4578.